When you plan a trip, you often take into consideration what you want to do and where you want to stay. You may plan trips to museums or sporting events. You probably plan for time on the beach or trips to the mall. What you probably do not plan for, however, is a trip to the emergency room. A medical emergency is never part of the plan, which is why it is so important to be prepared. A trip to the emergency room is stressful when you are at home; dealing with an emergency medical situation while away can be ten times worse. Not only do you have to worry about finding the closest hospital in a timely fashion, but you have to worry about your insurance coverage at the worst possible time. 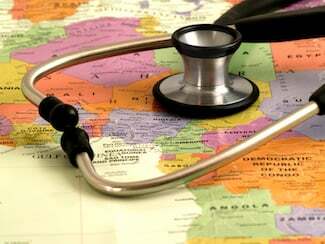 That is why emergency medical coverage is such a smart option when you travel. Purchasing coverage will insure that you are covered in case of emergency, alleviating at least some of your travel worries. This way, you do not have to think about whether or not the hospital is within your network, and you can focus on the medical issue at hand instead of the insurance details. When considering emergency medical coverage, you should be aware of what is covered. This travel insurance protects you in case of sudden illness, injury or infection that could lead to significant health complications. Typical coverage pays for ambulance service, treatment by doctors and nurses and most hospital costs. This includes surgery, medical tests, anesthesia and prescription drugs. Emergency medical coverage may also cover sudden dental emergencies such as a lost filling or broken tooth. While this range of trip insurance coverage is reassuring, some exceptions do apply. Emergency medical coverage may not apply if the injury or illness is caused by a pre-existing condition or a suicide attempt. Injuries related to drug or alcohol use may also be excluded. Sporting injuries or injuries caused by risky activities such as skiing or diving may also not be covered. Complications due to pregnancy may require additional trip insurance coverage. In order to understand the extent of emergency medical coverage, read the terms and conditions of the policy before buying trip insurance. To get the best coverage for your needs, be sure to compare the options. This way, you can find the right travel insurance at the right price for your next vacation.